Fashion Illustration – Head Theory, Croquis “Sketching or Illustrate designing is a skill drawn with the assist of number of lines and the design is produced with help of lines and strokes but it differs from drawing.” The focus in fashion illustration is to illustrate the fashion facts or croquis used for draping the clothes. 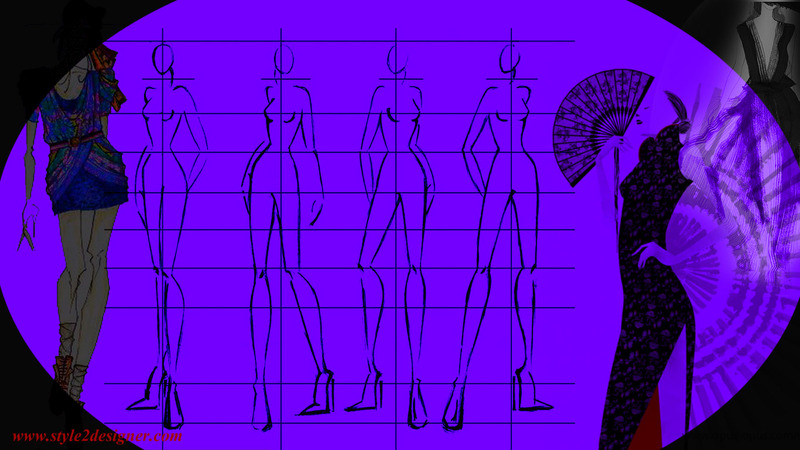 Fashion Illustration is considered as the most fundamental component of Fashion Design. It is used to present the design ideas; Fashion illustration can be presented through many forms and textures with plenty of creative themes and impressions. The combination of Fashion Design and Fashion Illustration is known as “ART”….. Sketching is the foundation of making original pieces of work in Fashion network. Fashion illustration begins with the sketching of a croquis, the extra notation of the garment, and also a technological representation of the garment, before it is produced. Designers frequently sketch out their thoughts and impressions in notebooks before they create. Fashion performers have segregated a grown up human body into eight equivalent parts, which are identical in height to that of the head. Each part is known as ‘head’. Really a vary useful site for students related to fashion. Wowwww i forgot ol about eight head theory so i done refresh my knowledge…….. Thank u ji. can i get brief reason why we use corquis in figure drawing ?